Siberian cats - native breed that has developed naturally. • or cats from northern Europe (in the process of migration of the 18th century). After the war, a large breed with a warm, waterproof wool exported from Siberia to the city of the Soviet Union to fight the mice and rats. And that Leningrad and Moscow cat in the 80s became the basis of the Siberian breed. The first representative of the Siberian breed standard became a cat named Roman, who was born in 1987. Then the "career" of the cat began to quickly grow. Siberian cats can not be married with other breeds. 2006 г. – Siberians were recognized in the United States (CFA). Today Siberian cats are actively bred abroad. But in Russia there is a heterogeneity of types of animals and the disappearance of the base colors of the breed. !!! 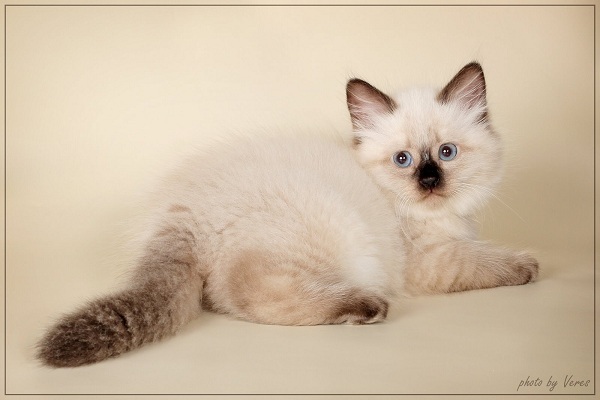 Siberian cats have one feature - they grow for a long time and maturity comes to 5 years. !!! Weight Siberian females - about 4-6 kg, while the males are significantly exceed them, achieving 10 kg. Siberian breed includes countless colors. For colorful "paint" it is often called the "Siberian colourpoint." Usually it is a combination of gray, black, white and red colors. !!! White Siberian cats with color point are separate subspecies - Neva Masquerade. Siberian cat - one of the "universal" breeds. Siberian cat easily adapts to any home: with guard skills and being an excellent hunter, it is ideal for a private house, and an innate sense of tact and accuracy allows it to live in a flat without problems. 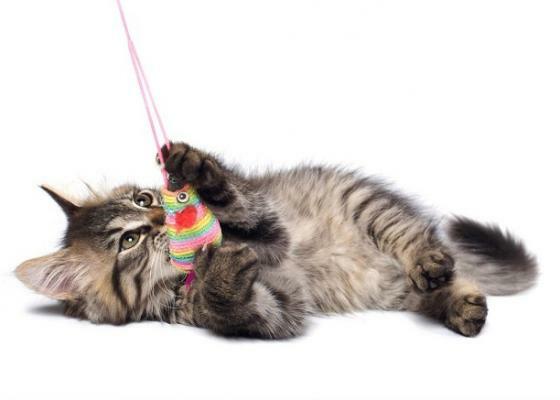 Siberian cats have a strong character, but at the same time they are affectionate and loveful. Being able not to bother the owner, they will be infinitely glad of his affection. Do you have a kid? Excellent - Siberians just love children and always become good baby sitters. The breed gets along well with other animals, be it a dog or cat, but rodents, ferrets and rabbits. This breed is fearless in front of large animals, strangers and loud noises. On the contrary, it often prevents the owner of someone's approach and does not let strangers, be it a person or a pet. And yet - the cats just loves to bring the owner "gifts" in the teeth. In spite of the affection, Siberian cats are delicate and do not pursue a man around the house. Feeling a need, they will suddenly emerge from nowhere, but if you are distracted from it - immediately disappear. They quickly learns your name, responding exclusively to it. Siberian breed, though looks clumsy, incredibly mobile and graceful. These cats are greet any toys and love to climb high. But their playful side by side with a sharp mind: before you do something, the cat will think, and then make the only right step. Due to its natural strength and features of the coat, Siberians can treat low back pain, neuralgia and rheumatic pains. !!! Despite the rather long hair, Siberians are hypoallergenic. "Coat" of this breed is a different story. Сare about the hair scares many potential owners. In autumn and spring, Siberians molt and need a comb. How to care about Siberian cats? flap of suede or terry cloth. Slicer Brushes delete undercoat (only during moult). Do not use brushes with synthetic bristles - they contribute to hair fragility. This breed is not afraid of water, but not often bathe her - hair stays clean for a long time. Before bathing a cat is necessarily combed.